REMINDER : Final Day for 60 Photo Cards for $4.90! I had to remind you of this amazing deal because today is the FINAL DAY you can take advantage of this promo! You get 50 cards for FREE and you pay for the additional 10. But because you have 60 cards ordered, you qualify for FREE overnight shipping! So the $4.90+ tax you pay is actually for the 10 cards but is the equivalent of what you would have paid for standard shipping on the 50 FREE cards! A phenomenal deal! Check out my receipt above for further details. My total was $5.19 shipped! Add promotion code "50cards" which should give you 50 for FREE! 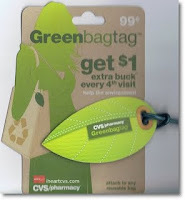 *if you have access to two computers, print four $1/1 coupons and get these for $.25 each! *qualifies for $5 off $15 rebate HERE. Final Price: all four for $.46 or $.12 each! Final Price, $.66 per pack! Today's Housewares Deals daily deal is a perfect compliment to the deal earlier this month for the Winterberry Dish Set! Today's deal is the Winterberry Serving Set from Pfaltzgraff for only $39!! Even if you don't have the dish set, it makes for a beautiful buffet setting. 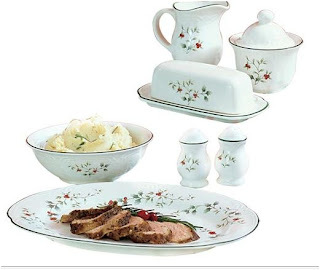 The set includes: 14 inch platter, 1 quart vegetable/serving bowl, salt and pepper shakers, 1 cup sugar bowl, 12 ounce creamer, and covered butter dish. Crocs - 25% Off Site-Wide - Sunday 12/12 Only! 25% off SITEWIDE at Crocs! Sunday 12.12 only. Shop Now!